Looking for stylish and sustainable eco-friendly outdoor furniture for your green garden, below are some of the eco-friendly outdoor furniture that can create a great statement. Designed by Solovyov Design, this olive green furniture adds a bold but beautiful statement on your outdoor living. This apple furniture collection was developed last 2010 which consists of armchair, sofa and a table, products are made out of ratan. This stylish Wine Barrel Chair is made from 100% salvaged white oak wine barrels, discarded from California wineries. Each is individually marked with the winery brand under the seat. When folded, these oak chairs store perfectly flat. 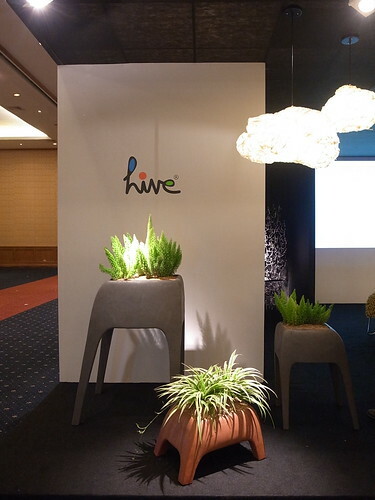 A perfect outdoor planter, Sweet, practical and adding a touch of whimsy to garden or room settings, Safari by world known filipino furniture designer Kenneth Cobonpue, for the home decor accessories company Hive, is a perfect addition for your outdoor green garden. Made from eco-friendly materials , the fireplace is a major contribution in reducing air pollution. Created by Marrio Mazzer, this fireplace not only features a unique shape, this design is also durable and it’s dark color creates a beautiful impression when lighted. This eco-friendly ratan planters is not just suitable but very stylish and sustainable as an outdoor furniture for your green garden. A hand carved stone bench or unique basalt water fountains and a gorgeous new waterfall feature using cobbles and boulders by Sierra Pacific Designs is a perfect addition for a beautiful green garden. This garden uses eco-friendly products such as recycled glass and pebble groundcovers a sure creation of a heaven in earth.